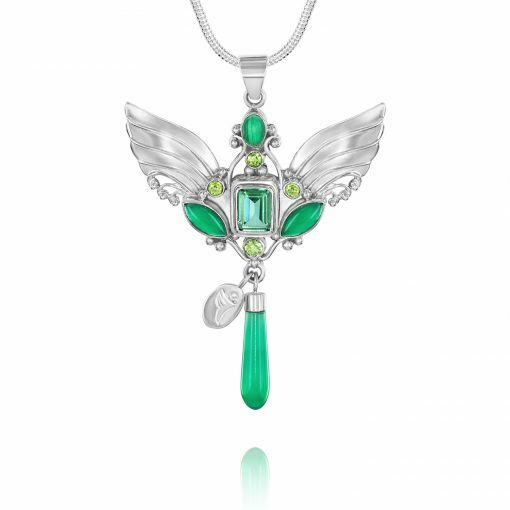 Archangel Raphael Pendant, the supreme necklace for healers and healing. Raphael’s healing energy is supported and magnified by 5 powerful gemstones. Aventurine, Malachite, Green Quartz, Peridot and Green Agate. The Archangel Raphael Necklace enables non-judgemental communication, vision, knowledge and most of all, healing. With Raphael we are guided on a healing journey and inspired to make healthy choices in all areas of our lives. I can’t recommend Archangel Raphael enough if you are in need of physical or emotional healing. Wear your pendant near your heart chakra and feel deeply comforted as Raphael dissolves stuck energy, restores balance, helps to relieve discomfort and guides healing hands. Raphael’s name means “he who heals” and he can help us experience all healing with new eyes and with a new, healing mindset. An 18″ chain is included. Pendant size 7cm x 5cm. Ships worldwide. After I purchased the Archangel Raphael Pendant I could not wait for it to arrive. I received it very quickly and as you can imagine I tore open the package to reveal the most beautiful piece of jewellery I have ever seen. It has a beautiful divine energy. I was in a good mood but the pendant just sent me over the top of my happiness that day. As soon as I put it on I felt lighter and happier than I had felt in days. I took lots of selfies so I could admire the pendant and my daughter took some more because she thought it was just gorgeous. I was not expecting a chain but Linda includes that too with the pendant. I was really impressed. It is really beautiful, delicate, and angelic! I am in love with it. I hated taking it off. I did not want to part with the feeling that enveloped me. I felt soothed beyond words. I want 5 or 6 them so I never run out!! Linda is a talented and gifted artist. Her designs are gorgeous beyond words. I have not seen anything like them ever before. Thank you Linda for making in possible. What a wonderful gift to the world! 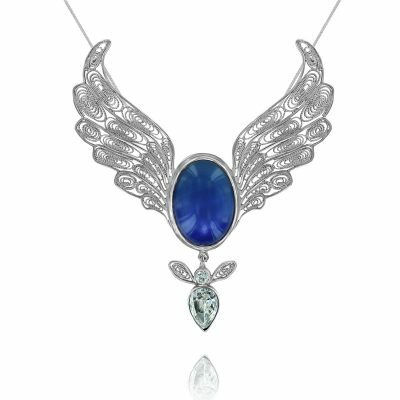 I have looked at and longed for all the pendants that Linda makes but I feel the Archangel Raphael Pendant is right for me. 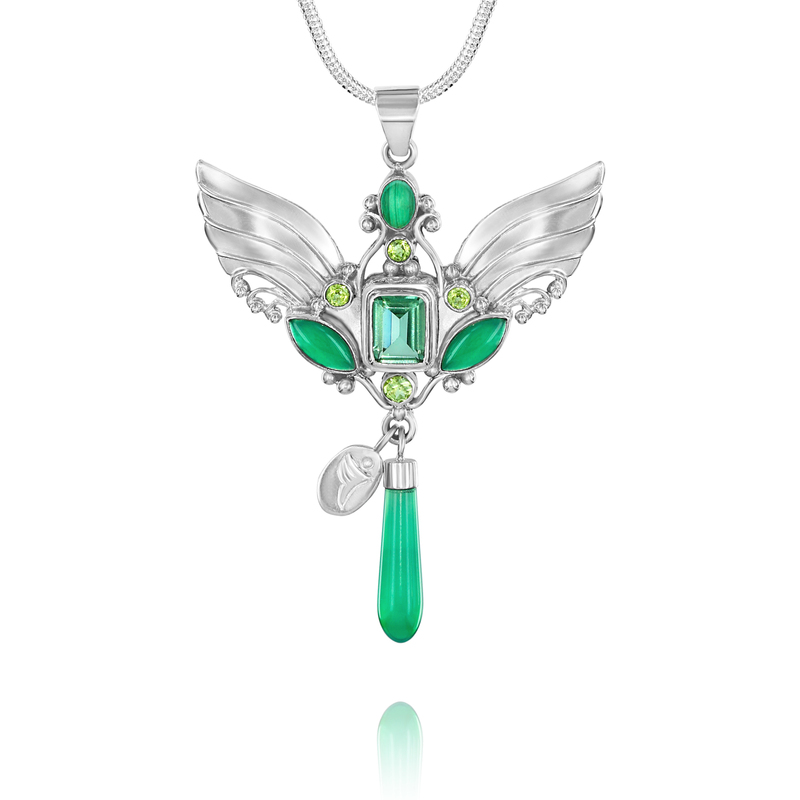 It is filled with green healing gemstones. I felt abundant and supported. I felt like I was turned up a slightly higher level frequency than my day to day life while I was wearing it. 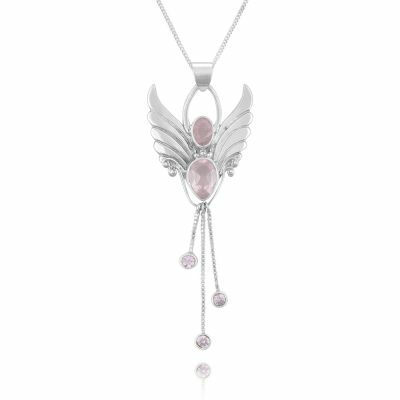 Just to let you know I first saw Linda’s beautiful Angel Jewellery in 2012 and I have been trying to get one ever since then. For some reason or another I could not get anything. Then suddenly again almost 3.5 years later I finally finally was able to get my favorite pendant. So I have waited and It must have been time. I feel like I have been blessed because I feel like the piece I got chose me! Thank you Archna. I am so happy, my Angels are doing such a good job! 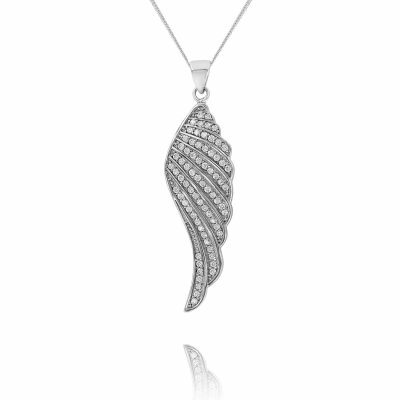 Generally this range of angel jewellery is the best jewellery I’ve found. 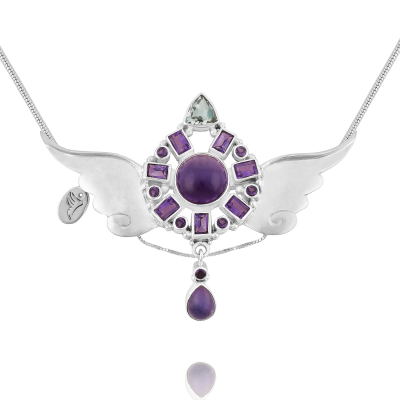 It’s perfect for anyone looking for out of the ordinary, unique angel pendants with meaning, or just an angel necklace in gold or silver. Thank you so much, Linda, I got Archangel Raphael in my mail today, It came with a note about the gemstones and how to look after it, very soon it was to be seen on my neck because Linda kindly had added a chain as well. Archangel Raphael, is beautiful, it is adorable, love it…………………..what else to say??? I have been in touch with Linda via email, concerning the sale, which has been very reassuring, so I can only say: Go for it!. Lovely looking necklace. Bought it for my wife because she works with Archangel Raphael. It was greatly appreciated. The Archangel Raphael necklace I ordered arrived in the US today. It was larger and even more beautiful than expected. Quality craftsmanship and detail. Just lovely! 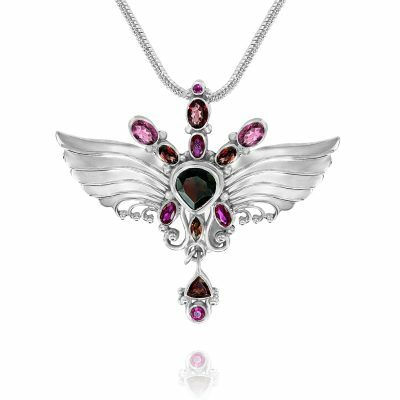 I have 2 of Linda’s angel pendants and I keep coming back for more. Beautiful, infused with love and positive energy.